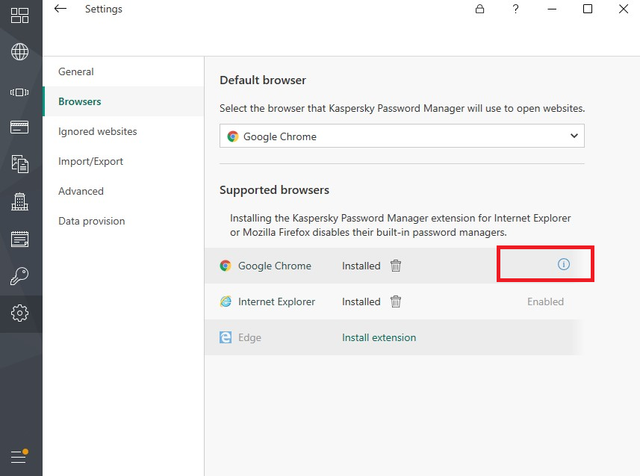 Not installing plugin Kaspersky Password Manager after install product. #790 Not installing plugin Kaspersky Password Manager after install product. Made the settings on the program prompts. Plugin Kaspersky Password Manager not install after settings product. 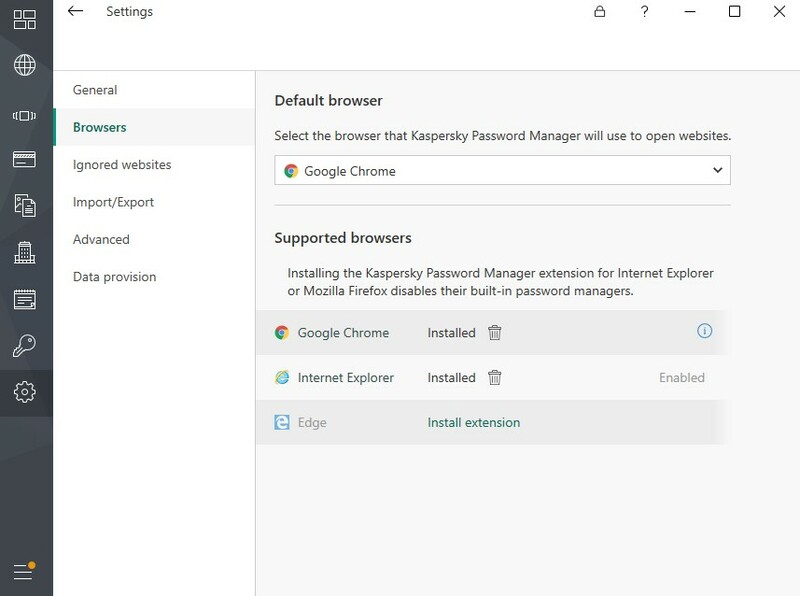 Plugin Kaspersky Password Manager install in browser complete. Can you help me? I does not reproduce this bug. Do you reproduce this bug now ? Can you write more accurate steps for reproduction it ? Log in My Kaspersky account. That you mean "Made the settings on the program prompts." ? Also, can you open "KPM" -> "Settings" -> "Browsers" and send screenshot to me ? Thank you, but I still need to answer the question: That you mean "Made the settings on the program prompts." ? I'm sorry, but i can't reproduce it, and i don't understand your description. 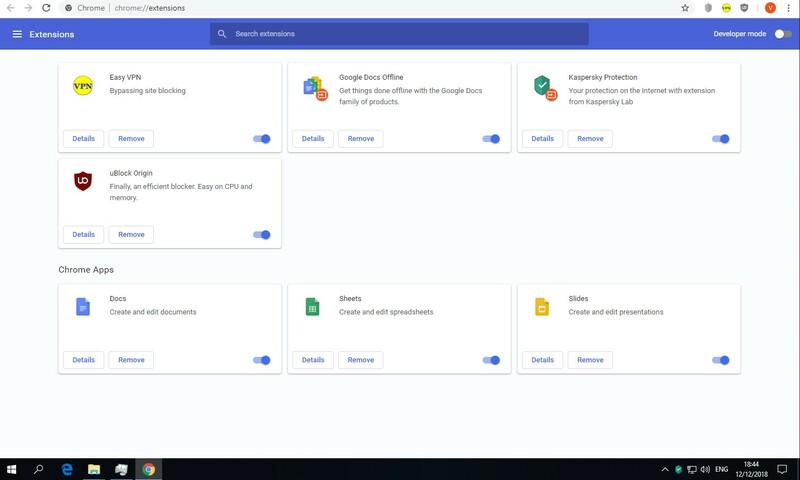 You can install KPM plugin from Chrome Web Store using next instruction. Does not help problem same. 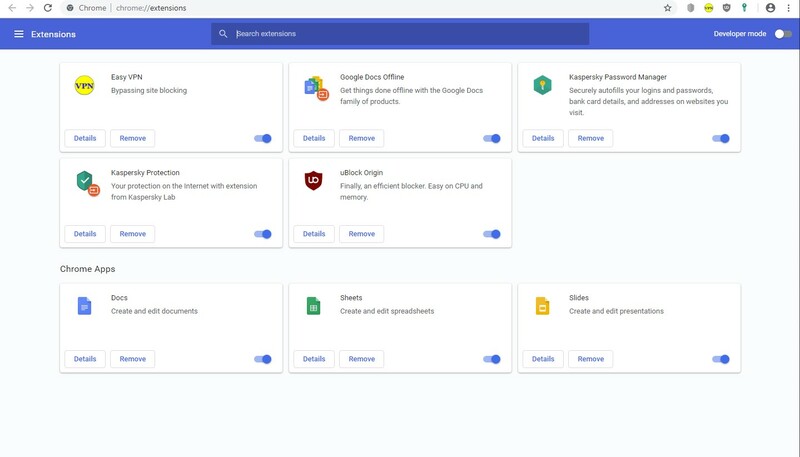 Open https://chrome.google.com/webstore/detail/objoldinpoihjimeidlcmghoigbabanl in Google Chrome browser. Click "Add to Chrome" or "Install". Open chrome://extensions/?id=objoldinpoihjimeidlcmghoigbabanl/ and move right slider. After install extensions working normal. Victor, problem solved. Closed bug.